This paper describes an interaction study conducted in Brazil that aimed to investigate how people read a digital medicine leaflet in a mobile device. This insert summarizes the main typographic characteristics of Brazilian current digital leaflets. Tests were held with the participation of 20 volunteer individuals and consisted of four stages: (1) definition of participants’ profile, (2) task 1: finding specific information in the digital leaflet, (3) Task 2: reading the digital leaflet in a mobile device, (4) follow-up interview. According to the results of the interaction test, there is evidence that the current structure of the digital medicine leaflets in Brazil is not designed for access via mobile devices. 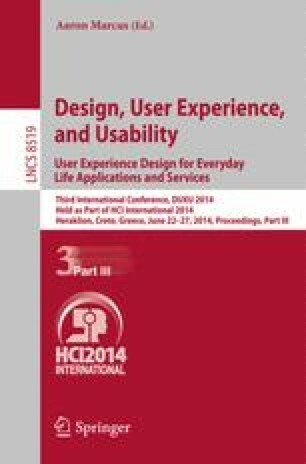 The findings of this study point to the need of information design guidelines for the Brazilian digital medicine leaflets, considering interactivity and navigability aspects. It is important to propose new solutions for digital leaflets and test them with people, in order to ensure the legibility and usability of these documents.